The perfect LEGO starter set for any girl! This colourful set is filled with a lot of great elements, such as a minifigure, a horse and plenty of elements for building. And clean-up is fun with the pink Brick Box…. This toy costs approximately £19.99 (for the latest and best prices make sure you check our retailer list for the LEGO Large Pink Brick Box 5560 above). 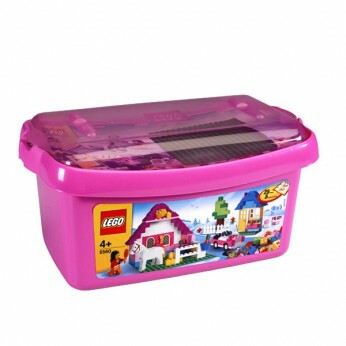 In our review of LEGO Large Pink Brick Box 5560 we classed it as being suitable for ages 3 years, 4 years, 5 years, 6 years, 7 years, 8 years but recommend you check the manufacturer specific advice before purchasing.